Google Glass was a while ago the hottest in wearable tech. It was cool, controversial, futuristic and limited in supply. Today we get wind of new implementation of the pricey product and it involves the field of Medicine and Bangladesh. Augmedix is a company founded in 2012 by Ian Kazi Shakil and Pelu Tran. Shakil is the Chief executive officer of the San Francisco based company and a Stanford graduate, his father is a Bangladeshi and his mother an American. The company set up office in the capital’s Panthapath area where they have recruited 45 young individuals as the back office staff of Augmedix. “But what is Augmedix? ” you ask? Augmedix is a company that provides doctors currently in the US with support to enter patient details into the US’s standardised, government mandated Electronic Health Record (EHRs) with the help of Google Glass. The idea seems simple enough, the staff in the office use Google’s technology to enter the data into the EHRs themselves thus saving the doctor valuable time. Data logging is not the only service offered as the company says doctors can instantly pull up patient logs and other details of the patient and have it displayed on Google Glass’s screen for easy and non obtrusive viewing. The entire idea revolves around the fact that doctors spend ONE THIRD of their time just charting patient data! This therefore reduces the unnecessary workload and gives them more time and opportunity to provide their patients with the high quality services they are paying for. As of now, the company’s services operate in 10 States and have documented the EHRs of over 25,000 patients. They have a total of 150 employees worldwide and plan to undergo rapid expansion between 2015-2016 so as to have 1000 doctor’s avail their services and employ 7000 Bangladeshis. 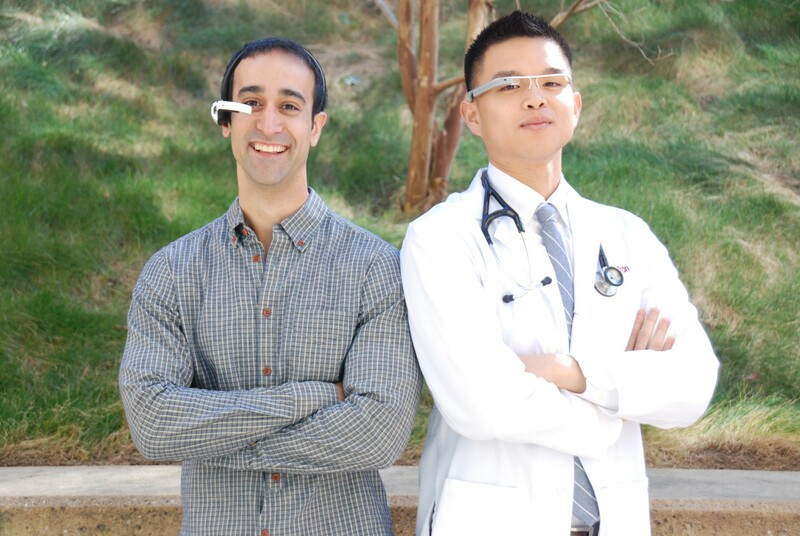 Doctors have to pay a monthly fee which will get them a Google Glass unit, necessary accessories and backend services. This is perhaps the first scenario where Google Glass is being used to offer services to medical professionals on such a large scale. The outsourcing offers great job opportunities for those in countries like Bangladesh and reiterates why technology like Google Glass must be developed further to enhance the quality of work.